Muttahida Qaumi Movement (MQM) founder Altaf Hussain on Thursday met with United States (US) Congressman Dana Rohrabacher and self-exiled Baloch leader, the Khan of Kalat Mir Suleman Dawood Jan, at the MQM's London Secretariat, according to a press release issued through the party's website. The Khan of Kalat joined the latter half of the meeting, which included lunch and lasted over four hours. Hussain briefed Rohrabacher on what he claimed were "unlawful arrests, torture, abductions, enforced disappearances and extrajudicial killings" of MQM workers and members of the mohajir community in Karachi and other parts of Sindh by security forces. He also apprised Rohrabacher of alleged "arrests, extrajudicial killings, enforced disappearances and acts of mistreatment" of Baloch people by security forces. Congressman Rohrabacher pledged to raise these issues in the US Congress and at other appropriate forums, the press release said. The Khan of Kalat and Hussain also agreed to "work together" for the rights of the mohajir community and Baloch people. All three agreed to continue holding such meetings in the near future. Congressman Dana Rohrabacher has a history of making anti-Pakistan moves in the US Congress, but has not always been successful in achieving his objectives. Earlier in July, a US Congressional panel titled “Pakistan: Friend or foe?” — where Rohrabacher also spoke — had come close to challenging Pakistan's existence as a state. 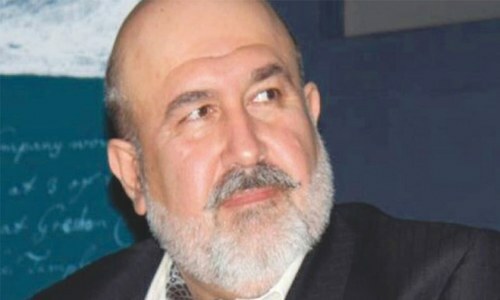 The Khan of Kalat had left the country in 2007 on the recommendations of a 'grand Baloch Jirga' after developing serious differences with the state following the killing of Nawab Akbar Khan Bugti. The Baloch Jirga had been convened in Kalat in September 2006 by the Khan. Tribal leaders and elders from Balochistan were invited to attend the jirga, held for the first time in 103 years, to discuss the situation in the province with special reference to the killing of Nawab Bugti. The jirga had reportedly asked the Khan to leave the country, and “struggle for the rights of Balochistan and its people” from abroad. The Khan has since then been provided political asylum by the British government and currently lives in London. A Baloch delegation that visited the Khan in London in July 2015 to convince him to return to Pakistan failed in its mission, as he maintained that only the Grand Baloch Jirga which sent him abroad had the mandate to make a decision regarding his return. Will the US of A please stop interfering in our domestic matters. Thank you! A few no bodies paid by somebody meeting another no body paid by somebody about things that no body should be bothered about (unless one is paid by somebody). The question is why these no bodies are being paid from some bodies tax money. Three irrelevant nobodies, sharing a drink somewhere in north London. Huge news. Surely, Anti-Pak forces working again and timing isn't surprising by judging internal climate against corruption and authority of institutions. I really hope patriotic Pakistani knows their responsibilities and duties to deal with such moves. The onus of responsibility lies on two major political parties the PPP & PML( N) for not accommodating the 3rd largest political force earlier. Being out from political horizon cosmetically the incendiary leader became more frustrated,and resorting to all inimical actions he can do.After incendiaries from some PML(N) leaders, the LHC may review its earlier order,and pardon AH, and allow him to join streamline,but should face all cases against him. Only political reconciliation may be allowed, but not the corruption be compromised under any circumstances. The larger national interest must any how be maintained by following and implementing Art 25 of the constitution. All deprivation must be stopped, and LG systems be more empowered. They are doing last efforts for their survival. This strenghthens Pakistan's stand that they were and are involved in anti state activities. Any way their future is already ended in Pakistan. Conspiracies are being hatched in London, India and USA. Congressman Rohrabacher should worry more about what's going at home than Pakistan. He is known enemy of Pakistan. Pakistan should protest loudly through appropriate diplomatic channel. Amazing people considering it "Anti Stat Meeting" without actually reading or thinking. Its a political right. Everyone should have right to discuss political issues with anyone. No wonder congressman Dona Rohrabacher speaks the anti-state language. Pakistan should object to such actions by any member of the US congress. These three just wasted four hours of their life in talking about something which can never ever be materialized in the life of this universe. Pakistan paindanad. We, all, must for the Rule of Law and the integrity of the country. Meeting of three has no date. We have to be honest with our own people in every respect and there is no need to worry. These are just pawns making moves on behalf of their masters. Altaf and khan of kalat self exile and can't represent the masses they are British citizens nothing will change to Pakistan. No country can suppress people ambitions for long and can not hold them in the country they feel misfit. Dana Rohrabacher is a certified anti Pakistan congressman. His only aim in life is to dismember Pakistan. So no surprise that these anti Pakistan elements are meeting in London. Kya Muhjahir? I am from Karachi and this guy is the worst thing to happen to us. Our heart still bleeds Green. It was our forefathers who led the way to form Pakistan. Western powers always encourage and created these kind of culprits to get their goals and sustain thier power. The moral disintegration of these three men can not harm the integrity of Pakistan. If Rohrabacher came close to challenging Pakistan's existence as a state, he is brother of AH and should be dealt with accordingly at all appropriate forums. Altaf Bhai is now struggling for relevancy. No strange and worry on the gathering of criminals who are the paid and appointed agents of India to undo Pakistan. We Baloch are patriotic Pakistanis and so are our Urdu Speaking people, whose elders gave great sacrifices for the creation of Pakistan. Pakistan must be doing something right! How could Rohrabacher assure Altaf Hussain about raising the so called Mohajir & Balochi issues at different forums without even bothering to find facts. This is ridiculous. It sounds like some new soup is being cooked up by the US. Such meetings probably happen often between individuals who are working against the country. The question is why was this meeting made public? How does Khan of Kallat afford to live in England. Where and how did he take the money out off poor Balochistan to UK. @Khan Afghan, what is good and in what move? Anti Pakistan union session in progress. Altaf is not a Pakistani citizen as he resides in England and is a naturalised citizen of England if he likes hpilitics he should take part in English politics. Pakistan should normalise its relations with India as soon as possible, otherwise USA and western powers would take advantage of the current situation. Naturally USA would never accept Chinese iinfluence in Pakistan and would do every effort to contain China.. Same old pattern: Divide and rule. Pakistan should understand the hidden agenda and first improve your relations with India and overcome the division which had created through partition. Culture, customs, language, blood and history bind us together. @Imran Fact of the matter is we ourselves (forces behind recent murder of democracy) are well-equipped to complete the job of dismembering Pakistan, so we dont need anyone from outside Pakistan to do that for us! "Congressman Dana Rohrabacher has a history of making anti-Pakistan moves in the US Congress, but has not always been successful in achieving his objectives"
That's because Trump wasn't there. @Karachi Walla and which one is that? Let them meet so what? Now every devout Pakistani should know who is enemy and who is friend of state of Pakistan. Meeting with a foreign person who has a long history of anti-Pakistan rhetoric suggests neither MQM nor Khan of Qalat are sincere with Pakistan and people of Pakistan. @AMI . Do not worry. The move is orchestrated by PML(N) & PPP. @Cyrus only China has a right to interfere in internal and external affairs of Pakistan.No other country has such a right except China. @Irfan "Conspiracies are being hatched in London, India and USA." Ohh yes, against the blameless, innocent, unblemished state and it's peaceful establishment. History is speaking itself out. It was not through gallantry alone that a handful of British could rule this subcontinent. Not alone Altaf's meeting are a point of concern, the importance the inhabitants pay to the security and love of their country is a even more. Its obvious that disqualified govt had some sort of tactics, which kept these quys quiet abroad, as well as dozens of fake partiots here. I don't support or oppose anyone, as I believe that 25 crore (250 million) people here can defend thier country themselves. This fugitive and wanted is still undermining and sabotaging Pakistan by his activities. Pakistan should take stern action against this self-exiled. I don't know why all of a sudden ah is back on media???? 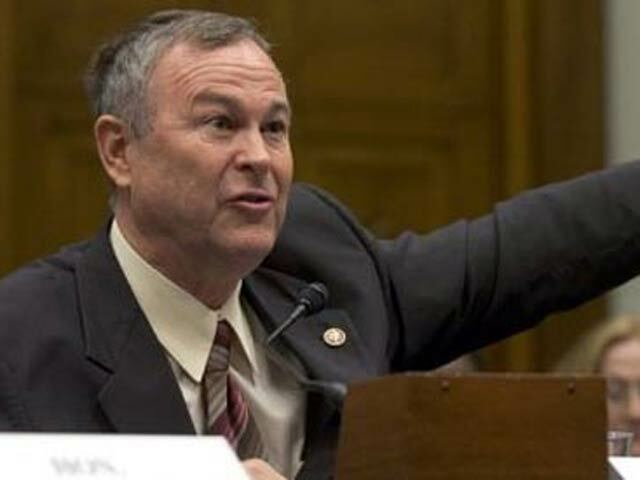 Mr. Rohrabacher known for his administrative and organizing abilities. He is very influential personality. It is better to bring Mr. Altaf and Khan of KNS Dawood Jan to negotiating table. Birds of a feather flock together. The khan and the bhai are both servants of the British. The Khan is becoming irrelevant so he invents all types things. Altaf bhai, don't claim nothing but the free money you get from your followers so you can keep living the grand life. @Pakistan no one needs to undo which is not Done! @Desiinpardes Thanks for being simple and too the point. It cannot be simpler than this. @Khan Afghan then back to Afghanistan. @Khan Afghan You are fake. Afghans love Pakistan much more then other countries. This would have been eventful in 2013, In 2017 the political and social landscape has shifted that this means nothing, even if you add Brahmdagh Bugti, Asma Jahangir, Hrbiyar Marri and Mahmood Khan Achakzai to the equation it wouldn't matter. These are people from a bygone era. Morbidly obese gentlemen with Sleep Apnea and other comorbid conditions including Hypertension Diabetes and Heart problems are very likely. This is not good for the health and welfare of their people. A little less food and more exercise might be more helpful. A healthy body will have a healthy mind hopefully. This is the best possible solution of a complicated political problem. @Khan Afghan, this is not in favour of both countries. @Irfan "Conspiracies are being hatched in London, India and USA" You forget Israel, Russia, Egypt, Mars and Neptune. Of course the rest of the world is hatching conspiracies against dear Pakistan just as per the protocols of Zion and Chanakya. After all, none of them have any better work to do. @Pakistan "no power on earth can undo pakistan" You forget Pakistanis themselves and the 'Establishment', that is single-handedly reversing everything that our Quaid stood for. Irony is that the Indians have not needed to raise a little finger to harm us as much as those mil-inc multi-millionaires have. i smell new conspiracy against Pakistan, however, inshallah it will die on its own for the sake of those innocent women, children and men they have given their lives for this beautiful country of ours,inshallah. The picture shows joining hands together. Against whom? what concerns me is that this wasn't a secret meeting but an open one. why? what are they trying to say? @Khan Afghan: your name suggests that you are pseudo Afghan and from our eastern neighboring country. you never asked the same question about Gen.Musharraf sahab and other ex-heads of state? I can see most readers irked by this meeting, and some even calling these leaders irrelevant. Let me ask you if you consider the assassination of Nawab Akbar Khan Bugti as justified? Remember, it was him that day, tomorrow it could be any of you ! Do people not care about forced disappearances in Balochistan and extra judicial killings in Karachi ? Even if you don't care, there are other who do. I still remember the echoes from the Karachi crowd- "Bhai ka ho aek ishara, hazir hazir lahu hamara." Dana Rohrabacher is an indian lobiest in the US congress so this proved an anti alliance against Pakistan. Ameen and ameen. It seems as though most of us Pakistanis agree with you - the only people getting excited here are our hindustani friends, who spend days at a time trawling our news sites for minor articles like this!